How many coupon inserts / newspapers should you get each week? My recommendation is to get one set of inserts for each equivalent of an adult consumer in your household. Meaning, If you have 2 adults and 2 elementary age kids that each eat about half of what an adult does, I’d start with 3 sets of inserts (get 3 newspapers) . If you have 2 adults and 3 teens, I’d start with 5 sets of inserts (5 papers). For my family of 2 adults and 2 preschoolers, 2 sets of inserts is usually sufficient. Why so many, you ask? If you have 4 adult consumers in your family and a deal for free body wash comes along, you want to be able to get 4 for free to last you until the next sale. There’s no need for extreme stockpiling to keep ahead of your family’s needs! Don’t forget to buy the newspaper of the largest city near you for the best coupon selection – not all coupon inserts were created equal! There are some factors to consider though. If your family eats a lot of processed/prepackaged foods, you may want more inserts. If your family (husband, kids, whomever) is not completely on board with being frugal (i.e. are still wasteful with many products) you may want more inserts until they come around. If your family has a good size garden (or benefits from one or a CSA etc) you may need fewer inserts. The one per each equivalent of an adult consumer in your home rule is just a starting point. Consider the points above, and try that number for several weeks. Then adjust if necessary. Be sure to check the weekly coupon previews to see if there are coupon inserts expected for that week. Usually there are no inserts on the Sunday closest to a major holiday, and sometimes there is just 1 insert. ** 2 Companies I’d recommend for this are: WholeCouponInserts and Coupon Dede (partially because she is also in TX so shipping to me is fast!) but I have also heard good things about My Coupon Hunter. You can also find some good deals on Ebay from time to time. Think of a question you’d like answered? 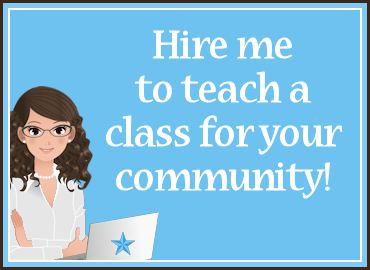 Leave a comment here or you can contact me directly. I buy one paper and my grandmother gives me hers as well. As far as printing coupons off the internet, which websites do you use and how often? Thanks! There are 4 main sites for printables. 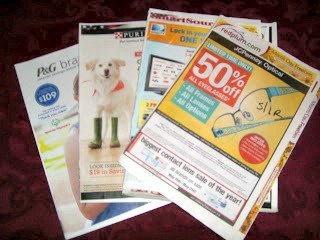 Coupons.com, Smartsource.com, Redplum.com and Couponnetwork.com . Many of the manufacturers offer printables on their sites as well. Kimberly Clark, Kellogg’s and Campbell’s almost always have printables. Target has many Qs (there is a coupon link at the very bottom of their site) I check for coupons frequently, but don’t print a whole lot. It just depends on if I will definitely use the Q (since printing costs money) and if there isn’t one in my inserts (you can check the coupon database in the upper right sidebar to check for Qs) I have more information on Qs and direct links found at http://www.thriftytexaspenny.com/coupon-information/ It’s also under the tab at the top of the page called Getting Started With Coupons.